Boldly go where no nerd has gone before. The beach. Just kidding. I’m a nerd too. Star Trek nerds go to the beach all of the time. And now when they hit the sand they can lay down their favorite Enterprise to save their spot. 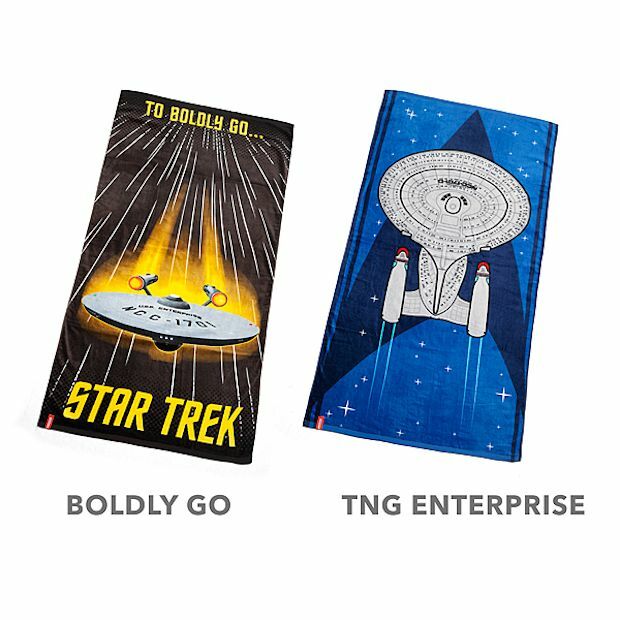 These beach towels are the next best thing to a vacation on the pleasure planet Risa. You can choose from two styles: Boldly Go or the next generation Enterprise. Both look awesome. 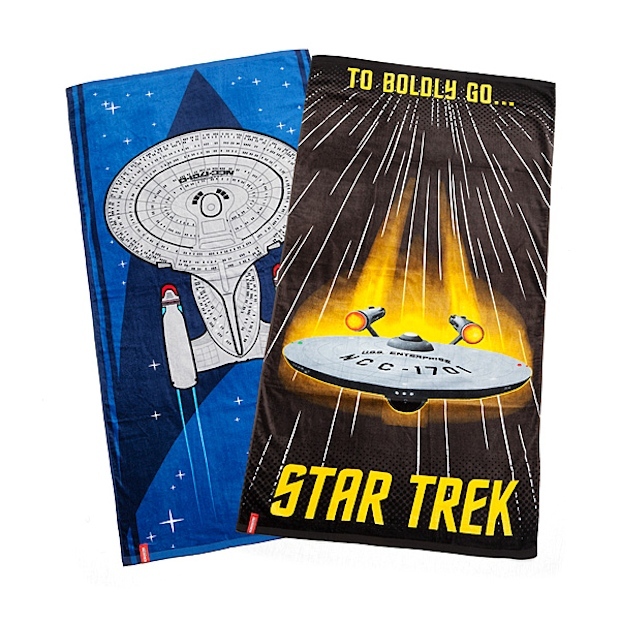 These stylish towels will alert all of your fellow beach-goers as to which generation is your favorite. They are 100% cotton and measure 59″ long x 29 1/2″ wide. Get some sun and hit the beach in style. You could use the sun.